Add the oil, sugar, orange blossom water in the butter and beat them again for few minutes. Now add the baking powder. Add little flower at a time and beat it. Continue to add the flour until a soft nice dough forms (the dough should not be too soft). Place a wax paper or parchment paper on a baking tray, spray some oil on it and set it aside. Sprinkle some flour on top of your rolling board and spread the dough into 1/4 inch thick circle. 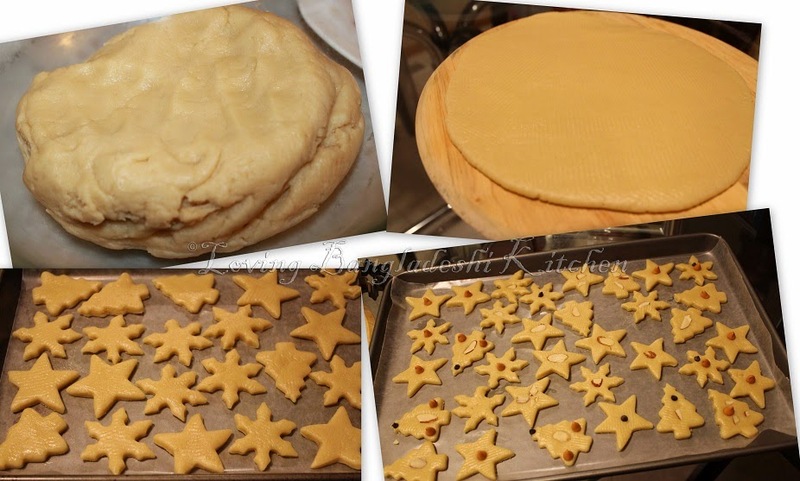 Then cut into your desired shape with cookie cutter or with knife and place on the prepared baking tray. Preheat the oven to 350 degree F. Place the baking tray on the middle rack and bake it for around 10-12 minutes or until a light brown color comes out on the side of the cookies. Take out the cookies from the oven and keep aside to cool down. Serve your cookie. Preserve the left over cookie in a airtight container.